On Wednesday we had an instructive noon report by Dr. Horton wherein an admitted patient was found to have new heart failure with a sodium concentration of 112 meq/L. 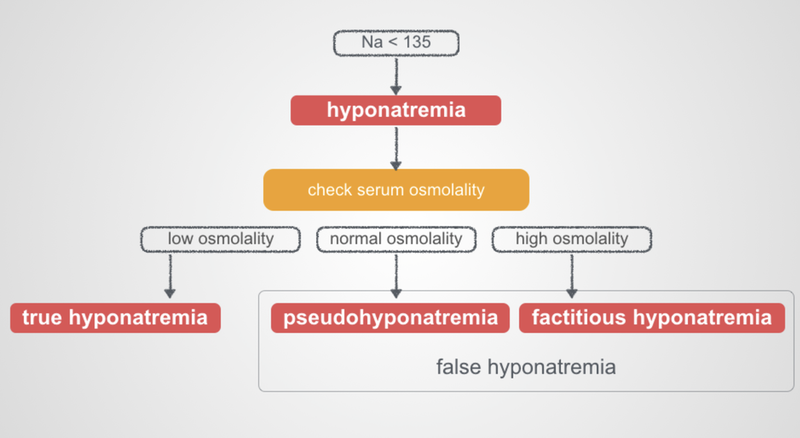 We worked through the diagnostic plan for someone with newly found profound hyponatremia, and thanks to the Curbsiders’ handy algorithm, residents were able to quickly identify their treatment plan. Dr. Horton PICO question evaluated whether hyponatremia had any prognostic value as a marker for mortality when diagnosed among hospitalized patients. He discussed a study by Abraham et al., in Journal of the American College of Cardiology wherein each decrease in serum sodium by 3 mEq below 140 was associated with an increased risk of mortality, and furthermore could be incorporated into a risk-prediction nomogram to calculate a patient’s risk of in-hospital mortality. More information about hyponatremia as a predictor of mortality available here: Abraham WT, Fonarow GC, Albert NM, et al. Predictors of In-Hospital Mortality in Patients Hospitalized for Heart Failure. Journal of the American College of Cardiology. 2008;52(5):347-356. doi:10.1016/j.jacc.2008.04.028. WIN OF THE WEEK: Coos Bay Rotators Report! !